Renewable energy is growing year on year. Renewable energy means using natural, sustainable ways to generate energy. Renewables can use natural sources such as wind, sunlight, geothermal heat and biological processes. These natural sources regenerate themselves, making them both renewable and sustainable. There have been big changes in recent years. It is now said that renewable energy sources provide 20% of the UK generation, a big change from 2013 when only 14.9% was from renewables. This figure is expected to rise to 30% by 2020. The united kingdom’s renewable industry has beaten records for the last two years. This has been helped by the number of new wind, biomass and solar projects being opened, and this shows no signs of slowing down. The UK has climate change goals to meet in 2030. Many projects have opened in the UK from solar farms to offshore wind farms and biomass power stations. The largest offshore windfarm in the UK is the Walney Extension which lies off the Cambrian coast. This windfarm generates 695 megawatts of energy. Fossil fuel is still at a greater percentage of generation, currently at 40% compared to 28% for renewable sources. The growth of the electricity generated by clean greener sources, however, has grown hugely and will continue to do so into 2019 and beyond. Lower energy bills: installing renewables in your home can reduce energy bills. Most require little to no electricity from the national grid and can produce heat or hot water from natural sources. Reduced carbon footprint: we all want to reduce our emissions and choosing to use renewables within your home or business will certainly cut your carbon footprint. Generating income: there are government schemes and subsidies available for some projects allowing you to earn money back. Helping stop climate change: every little helps. By becoming more aware of your carbon footprint and switching to cleaner options, you will be contributing to stopping climate change. Renewables reduce co2 and toxic gasses. Generating your own power: the benefit of some renewables such as solar is you can produce your own free power and become more self-sufficient. These are just some of the reasons that people have made the switch to greener power. And the options are endless. Solar, biomass, wind power, heat pumps – the list goes on. Renewable technologies have developed and grown meaning it is more efficient and much more affordable than ever. Wind power in the UK has generated the most power. Offshore and onshore, it generates 13.8% more power than any other renewable source. The UK has 9,391 wind turbines in 2018. It has more offshore wind capacity than any other country. Its not just big projects, like offshore windfarms – smaller wind turbines are used all over the country to power communities and business. One of the fastest growing and most popular ways to use renewable power is solar PV. 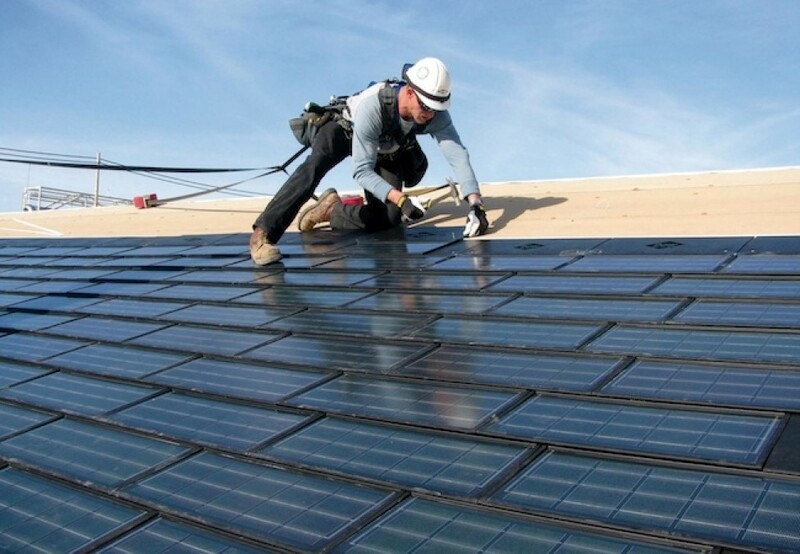 Solar panels have grown in popularity and dropped in price over recent years. They are now used on many roofs across the UK. As well smaller arrays, there has also been a growth in larger scale solar farms. Solar farms like the one in Chapel Lane Dorset which provides 60,000 homes with electricity. Big coal power stations are set to be shut down by 2025. Two where closed in 2018, with some being turned into biomass or geothermal power stations. Biomass and geothermal can be used on a smaller scale. Biomass boilers and pellet stoves can be used within homes and businesses for heat and hot water. Geothermal heat is used within heat pumps to provide hot water for radiators or space heating. Renewables have to some extent relied on government schemes and subsidies. A lot of these schemes have been scrapped in 2018/2019. Some have been replaced by other funding and others haven’t been replaced at all. Possibly the most controversial is the end of the Feed in Tariff which threatened the growth of the solar industry last year when the cuts where announced. The FIT is set to end on the 30th March 2019. Cost of solar has fallen by up to 15%, however, and is now much more affordable than it once was. There are talks of energy companies being able to set their own tariffs to buy excess electricity from solar panel owners. The new legislation, if passed by government, will be great news for those wishing to install solar panels after the end of the FIT. The future for renewables in the UK looks bright. Figures from the government’s energy and climate change attitude tracker, show that the overwhelming majority of the public support green energy, by 82% with 1% opposed. That’s a rise from the last survey. With renewables becoming more affordable, public support has really taken off. Government backing for renewables will be key to pushing the UK forward and to the successful hitting of climate change targets by 2030.